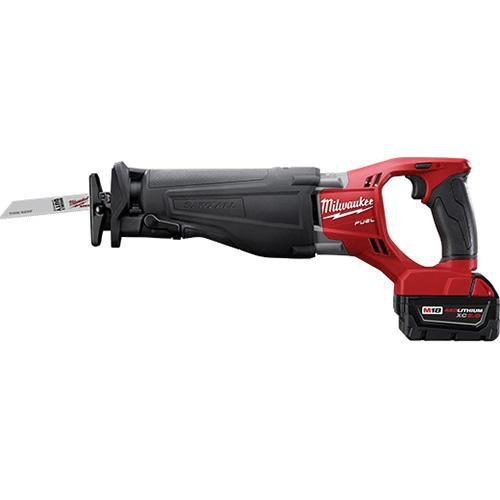 Milwaukee Tool M18 Fuel™ Sawzall® Reciprocating saw kit offers increased cutting speed and power through POWERSTATE™ brushless motor. It works on M18™ REDLITHIUM™ XC5 extended capacity battery, delivering up to 2.5x runtime and provides more work per charge. Kit includes M18 FUEL™ SAWZALL® reciprocating saw, M18™ REDLITHIUM™ XC5 extended capacity battery pack, M18™ and M12™ multi-voltage charger, blade and carrying case.